Oakville Car Detailing-Wash Me Now. With over 180,000 residents and counting, the town of Oakville is clearly thriving. Apart from seasonal and annual events such as local festivals, the streets of Oakville also see their fair share of traffic during quieter months. Local residents obviously need to get around on a daily basis which means that most households in the area have at least one car. Like residents of neighboring towns and cities, the residents of Oakville often find themselves too busy to tend to such things as detailing their car. Fortunately, our mobile car detailing in Oakville makes it that much easier and convenient to keep your vehicle in top condition. 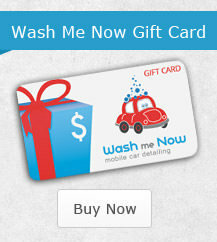 At Wash Me Now, we specialize in professional Oakville car detailing. We have experience detailing various types of vehicles including sedans, SUVs, luxury vehicles, and sports cars. We have even worked our magic on vehicles with electric engines. When you book your Oakville car detailing with our team, your vehicle will be in the best hands, and you will love the results! Our team understands the importance of all the finer details. This is what makes Wash Me Now the best in the business. Apart from the larger surface areas, we also take the time to clean such places as your vehicle’s door jams, vents, wheel arches, and more. While many of these finer details are included in various packages, others treatments are optional extras. These optional treatments include pet hair removal and headlight restoration. When we are done detailing your vehicle, driving it will be an even greater pleasure! We have more than 100 5-star reviews and our clients know just how much effort we put into each and every vehicle we detail. These reviews clearly reflect our attention to detail and devotion to excellent results. Of course, you need not take our word for it. Take a look at these reviews for yourself and find out why our customers return time and time again. 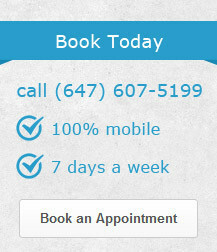 Given the busy nature of our lives, Wash Me Now offers a full service that is completely mobile. Not only do we come to you, but we also bring all of our own supplies. Simply provide us with your Oakville address and we will even bring our own water! There’s no need to take time out of your busy schedule. You can go about your usual business at work or home while we make sure that your car looks great. Steam is known for its cleaning power and for its ability to kill germs. We use steam for every car detailing in Oakville, and this ensures a perfect finish without any harsh scrubbing or rubbing. Killing germs inside and out is an added bonus, particularly when you consider just how much can build up over time. Our Oakville care detailing plans vary from basic packages to more in-depth cleaning. 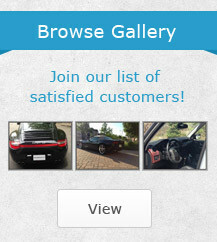 We like to allow our customers to choose the package as well as any optional extras to suit their specific needs. This way, our customers can choose the plan and extras that fit their budget. At Wash Me Now, we understand that different vehicles have different needs. If, for example, the interior of your vehicle suffers the consequences of an unexpected spill yet the exterior has recently been detailed, there’s no need to focus on much other than the affected area. Similarly, when the outside of your vehicle encounters the elements, an exterior clean might be all it needs. While many car washing and detailing methods involve the excessive use of water, our use of steam minimizes the amount of water we use for each car detailing in Oakville. Along with water conservation, we also use safe cleaning products to keep our impact on the environment to an absolute minimum. This is our way of doing our part to keep Oakville beautiful. At Wash Me Now, we understand the importance of providing our services in a timely manner. This is why we have included a time estimate for each detailing package. By allocating enough time for each of our packages, we give vehicle owners the ability to plan properly. The time required for each vehicle will depend on the package that is selected, the size of the vehicle, and if any optional extras are added to the package. Browse through our various packages here and contact us to make your booking or for more information.